Among all the festivities this month, I have been thinking of writing so many things, but been procrastinating like anything!! 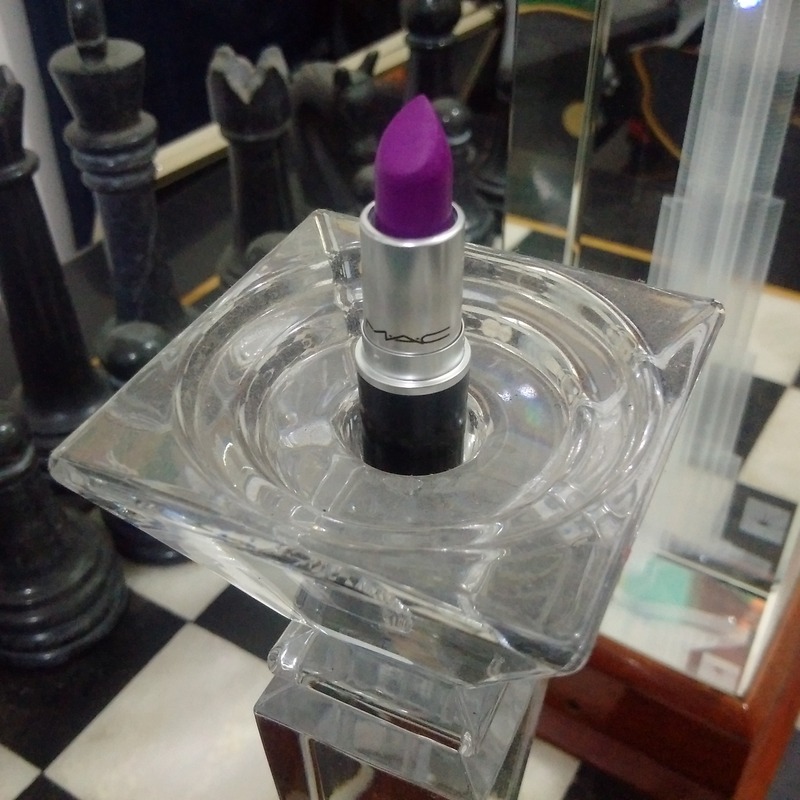 Anyway, this post is about my newest purchase – MAC Heroine. You can see what the lipstick looks like and how it looks on me. I feel the color washes me out and makes me look darker. I have another purple that’s NYX Aria. 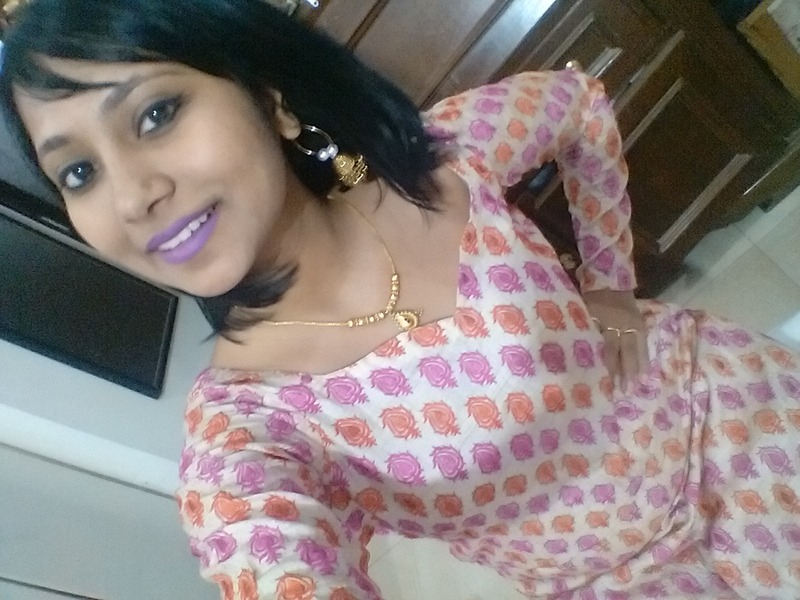 It is a mauvish purple with warm undertones that looks gorgeous on me. 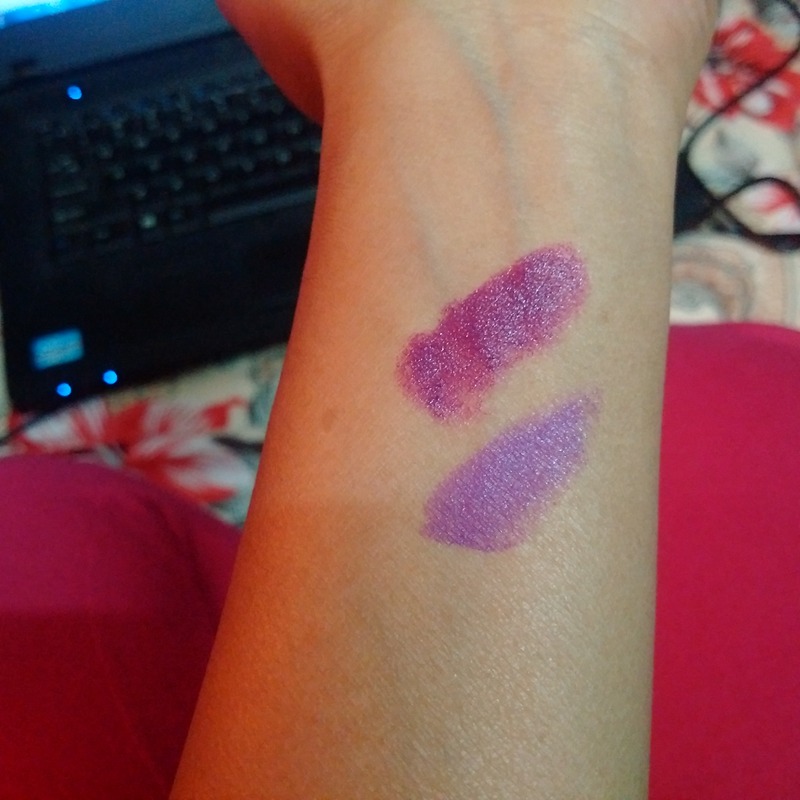 Check out the swatches of Aria and Heroine. 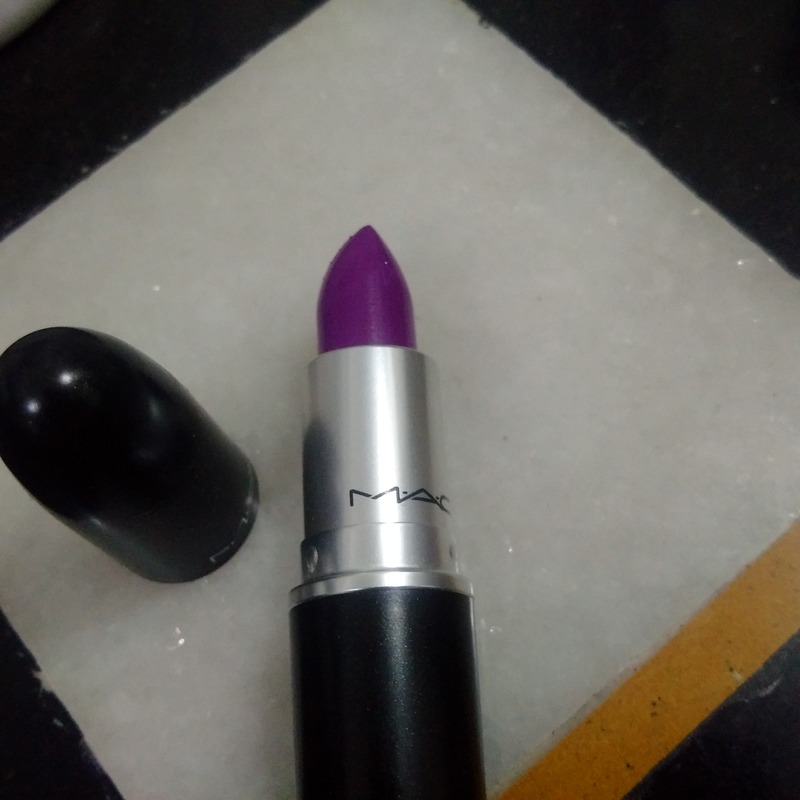 The one above is Aria by NYX and below is MAC Heroine. As you can see, Aria is a deep Mauvish purple, whereas Heroine is like Violet plus some white – a tint of Violet. Do you like the way it looks on me? I prefer the way Aria shows on me than Heroine. 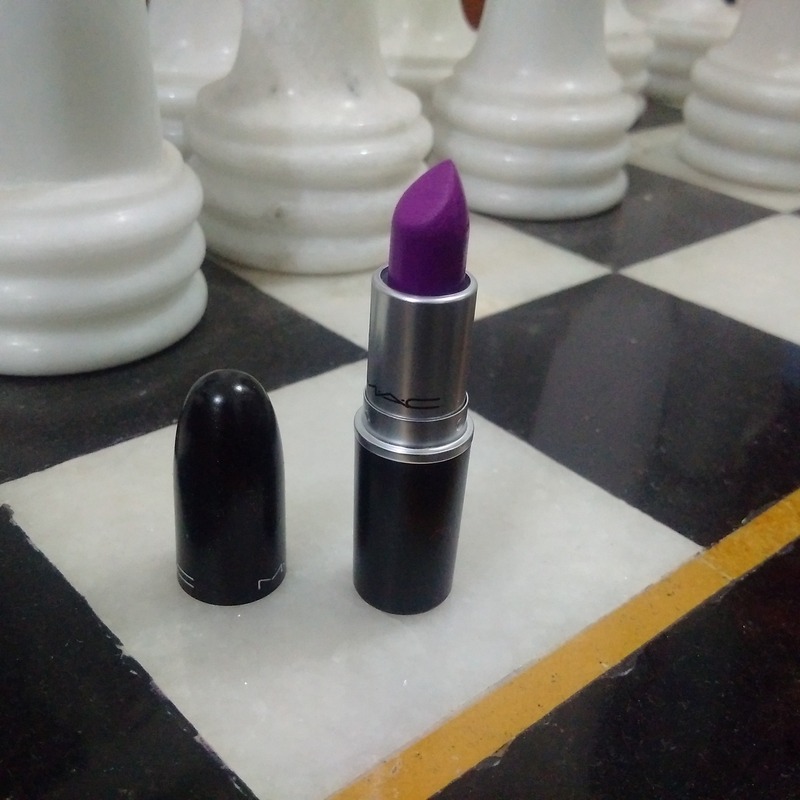 Aria is semi matte as it is a Matte cream lipstick whereas MAC Heroine is pretty Matte. Both stay long on me, but Aria sticks loner – surprisingly! Aria stays for about 6-7 hours despite eating food. Heroine lasts 4-5 hours and fades after eating. The above dress is what I wore to dinner tonight, and this is what I ate. 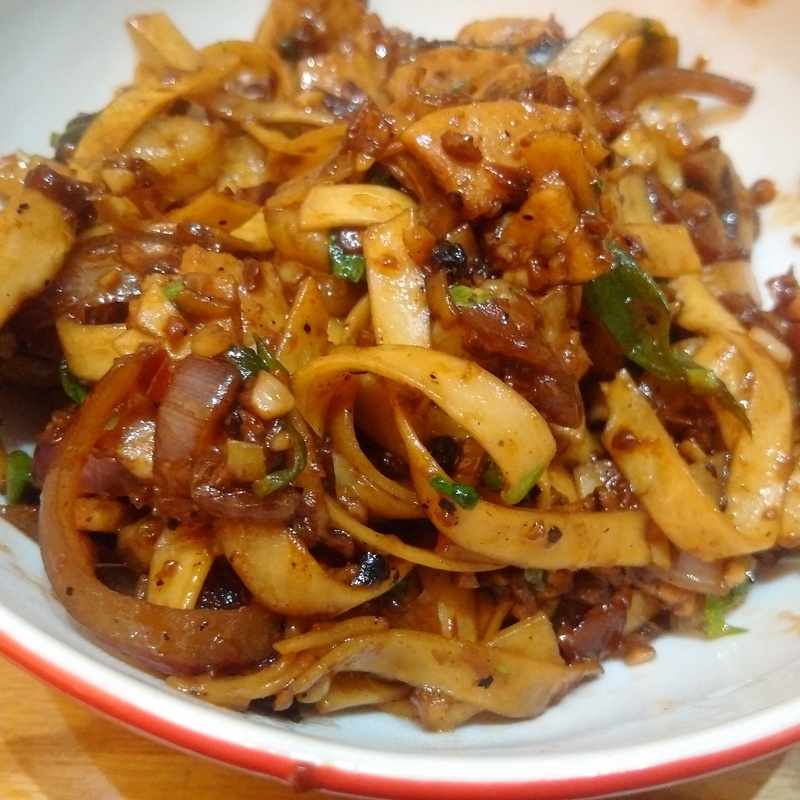 Noodle wok with mushrooms, chicken salami and prawns in garlic pepper sauce. Yum! !